HCM City (VNS/VNA) – Vietnam’s sea tourism sector has reported annual growth of only 2 percent to 3 percent, while other Asian countries have witnessed robust growth in cruise tourism in recent years. In 2018, Saigontourist Travel Service Co provided services to about 474,000 cruise travellers, up by 12 percent compared with 2017. 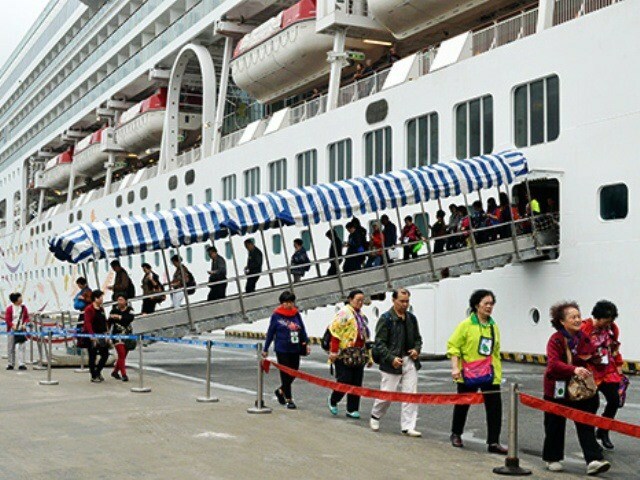 According to the manager of a travel service company headquartered in HCM City, most cruise travelers are from middle-class families that have few occasions to spend their money on cruise ships. Each of them spends an average of 100 USD during their 10-hour trip ashore. Authorities are concerned about the lack of wharves in Vietnam and HCM City in particular for cruise ships, which have to dock at cargo piers that serve cargo ships. The country now has only one harbour for cruise ships, which was built and opened in the northern province of Quang Ninh in late 2018. Ha Bich Lien, advisor at Royal Caribbean Cruises Tld, noted that HCM City is the major destination for cruise travelers to Vietnam, though cruise ships have to dock at Phu My Port in Ba Ria – Vung Tau province, which is busy receiving container ships. Lien said the lack of ports for large ships to dock prevents more cruise passengers from coming to HCM City. The city has thus missed a chance to attract high-spending cruise passengers, mostly from Europe, who spend an average of 100 USD a day, she added. According to a spokesman for the HCM City Department of Tourism, while awaiting construction of a port for cruise ships in the city, these ships will continue to dock at ports in Ba Ria – Vung Tau province. Passengers from the cruise ships are then transported to HCM City by bus.